Two words, yet this has a greater meaning and creates an impact to someone. Recently, you may have noticed on your Facebook page something new. A video has been posted on your wall. It was not long ago (early this year to be exact) that Facebook released a similar feature to what we are talking about. Most probably, you may have recalled the ‘Look Back’ video creator. It was fun, right? It was a moment to reminisce those moments that has passed. This time, other than recalling those memories you have shared with your loved one, it’s about time to say your own version of gratitude. ~ Cameron Ewing, the design manager, in an interview with USA Today. People have their own way of expressing these two simple words. Some would express through actions. They would learn to cook a delectable, good meal to their loved ones. Meanwhile, there are those who would give something valuable or an item that has a great value. It could be a jewelry or an heirloom. As everyone celebrates Thanksgiving, it’s not just about having fun on a turkey day, rather it’s about family gathering and most of all – saying ‘thank you’. Why Do People Say Thanks, Anyway? It all boils down to the power and the science of love. Expressing gratitude and compliments to someone dear to you involves a lot of ways – including social media. Facebook nailed it! If you think thanking your loved one by adding a 52-second video on his/her timeline may sound pretty odd, think again. 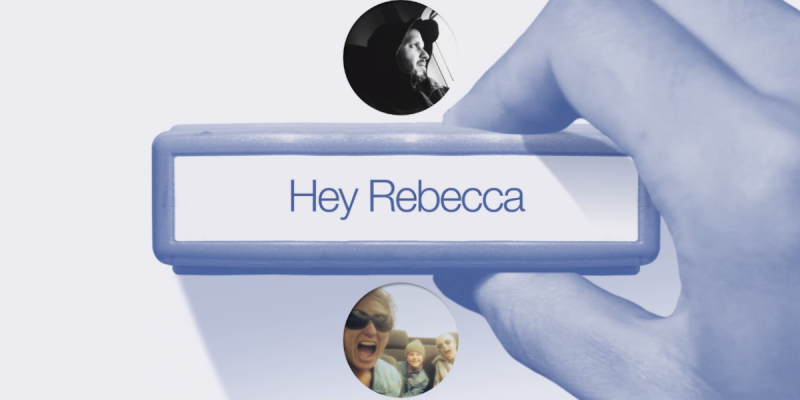 As almost everyone goes online and connects to people on Facebook, the ‘Say Thanks’ video creator feature is a reason to express your love. It’s about building and strengthening relationships. That’s what it’s all about. Happy days are here once again. However, this could be sad for some. Families who have lost their loved ones from an accident, sickness, calamity, and other causes. To them, this is a season they wish it never had come. It must have been difficult for them to cope with the pain and suffering. But do you think it is still possible for you to express your gratitude despite of the events that has happened? You have to realize that no one forgets about the past. It still remains. You may have been on the verge of recovery from a tragic accident, things happen for a reason. Your friends and families are there for you. That is their purpose. And this is the right time to express your thanks. One of the reasons Facebook offered this feature is to create a personalized video (in less than a minute) to your friends and loved ones. Perhaps, you can ditch those greeting and Thank You cards now. Gone are the days where you create or buy a card from a shop and send it to your friends and families. This is a distinctive way to express your gratitude. So, it’s time to visit your Facebook account, create your ‘Say Thanks’ video, and let us know how your parents, friends, and loved ones reacted when you posted the video on their timeline.